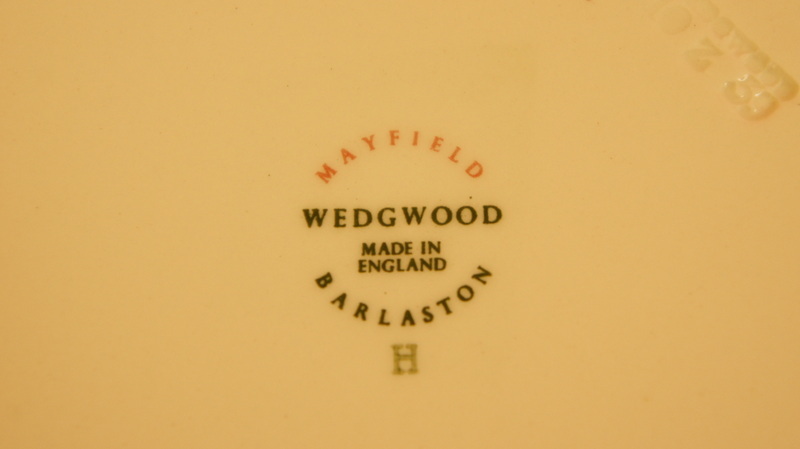 I’ve had so many pieces of this Wedgwood ‘Mayfield’ dinner service that just now you’re going to think I’ve started my own pottery factory! 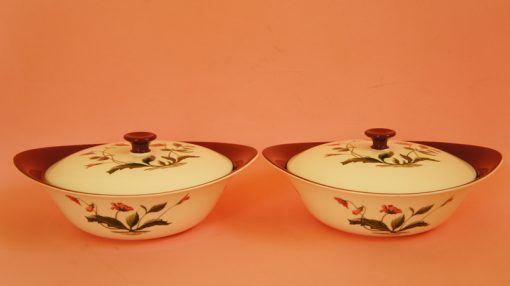 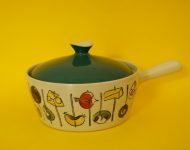 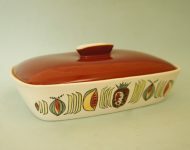 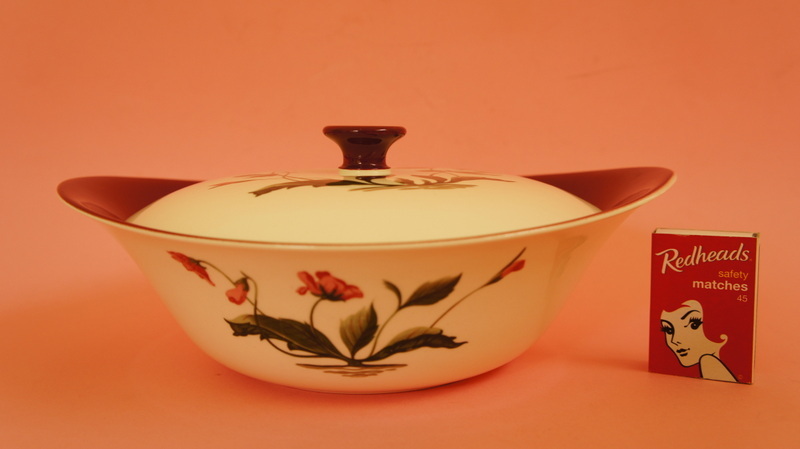 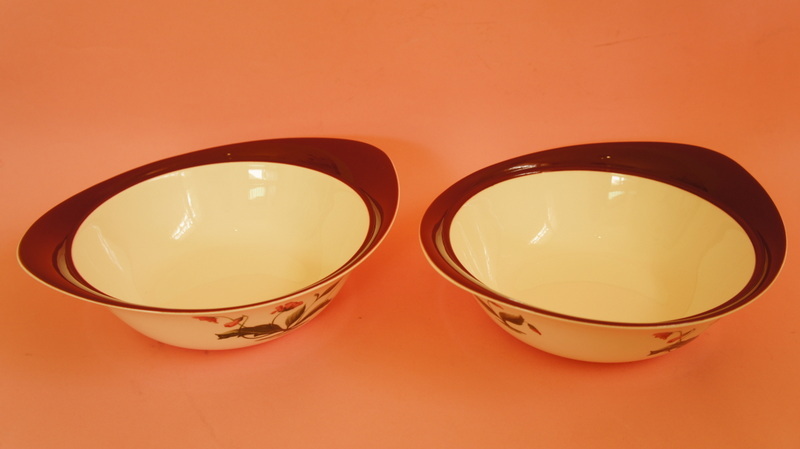 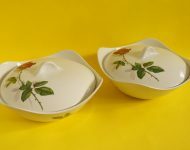 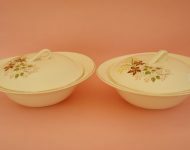 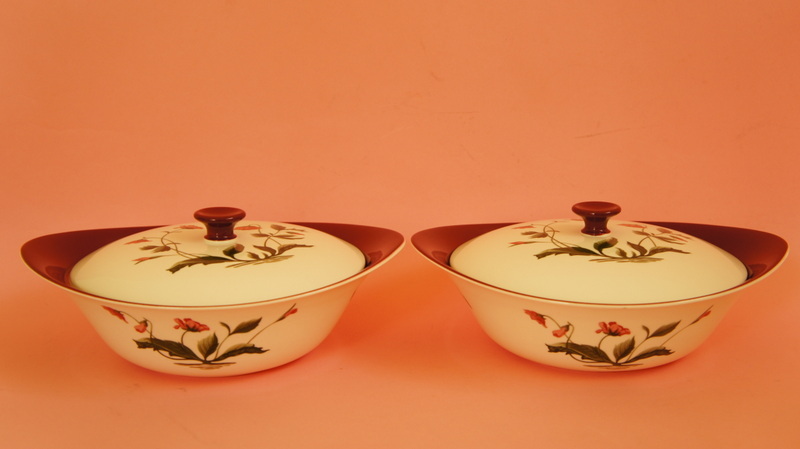 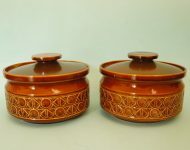 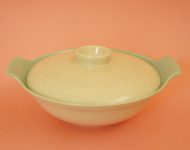 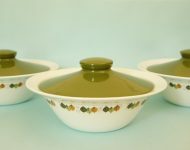 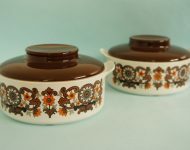 While all of the Mayfield pieces are quite lovely, personally I think my favourites are the ones that have more of a retro feel, like this lovely pair of veggie dishes. 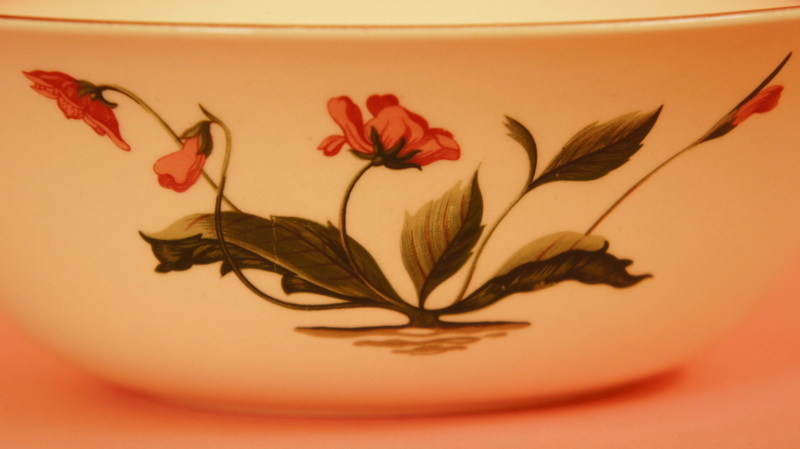 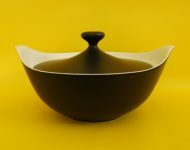 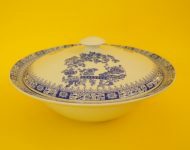 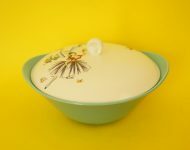 The pattern is obviously very beautiful, but really it’s the shape of the bowls which give it that definite retro look, and when you combine the quality of Wedgwood with that great shape, you have a serious winner! Note: The dishes are in excellent condition, but the one dish does have some faint marks on the underneath. 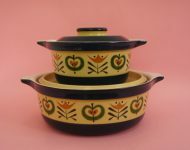 These dishes are also a bit smaller than your standard casserole dishes, so please pay attention to the dimensions below.